BELGRADE, July 20, 2018 - Partizan's coach Miroslav Djukic smiles during the first qualifying round UEFA Europa League football match between Partizan and Rudar in Belgrade, Serbia on July 19, 2018. Partizan won 3-0. Partizan's Danilo Pantic celebrates after scoring the first qualifying round UEFA Europa League football match between Partizan and Rudar in Belgrade, Serbia on July 19, 2018. Partizan won 3-0. 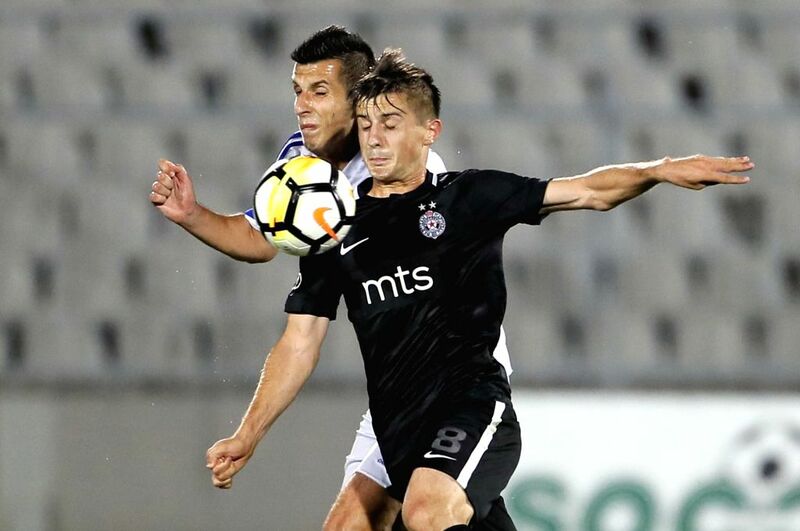 Partizan's Armin Djerlek (L) vies with Rudar's Dejan Kotorac during the first qualifying round UEFA Europa League football match between Partizan and Rudar in Belgrade, Serbia on July 19, 2018. Partizan won 3-0. 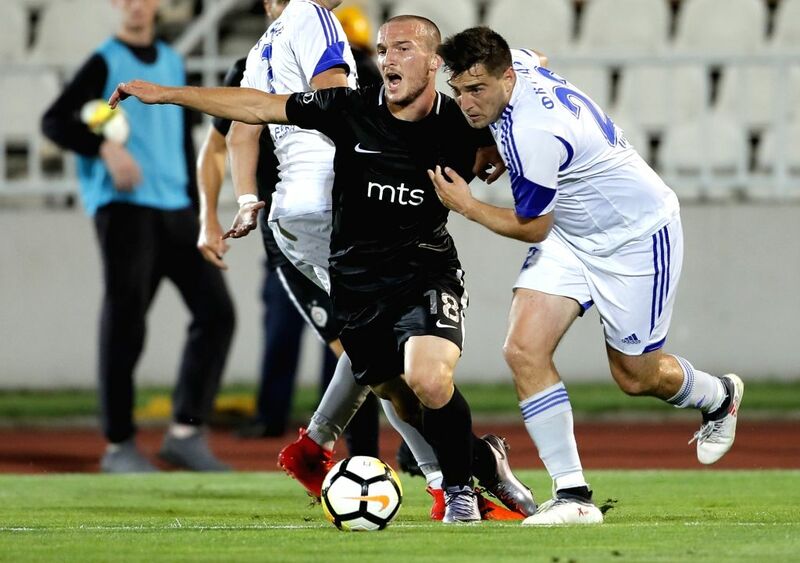 Partizan's Djordje Ivanovic (L) vies with Rudar's Zeljko Tomasevic during the first qualifying round UEFA Europa League football match between Partizan and Rudar in Belgrade, Serbia on July 19, 2018. Partizan won 3-0.